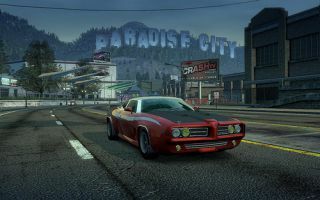 The PC version of Burnout Paradise arrives in February, with EA trialling an innovative way of demo'ing the title – by offering the full game for gamers to try out for a limited period of time. If you have yet to play the console version, then you really have no excuse for at least giving it a whirl in February, after all, what else will you be doing early next year? Crying over credit card bills? Putting off that personal tax return (again)? The real advantage here is that you can check that the game runs alright on your PC before you decide to buy. EA will be letting us know more details on how long the trial will be made available for shortly.